Editing can be a horrible process but it can also be a liberating one. A lot depends on your frame of mind as you sets out to look at your manuscript/paper/.docx/Scrivener file. Approach with a defensive attitude, intent on preserving as many dearly-loved passages and favourite characters as possible, and the editing process can be transformed into bloody trench warfare, with each slow advance followed by a retreat and every last word the scene of an ugly skirmish. On the other hand, leaping into the attack, intent on cutting away the excess characters, unnecessary plot twists and purple prose that threaten to strangle your story, and the whole thing can end up being rather fun. In the end it's much easier to slice away a whole page with a flash of the editing blade than it is to trudge through every sentence jabbing each word with your bayonet to check if it's still alive. 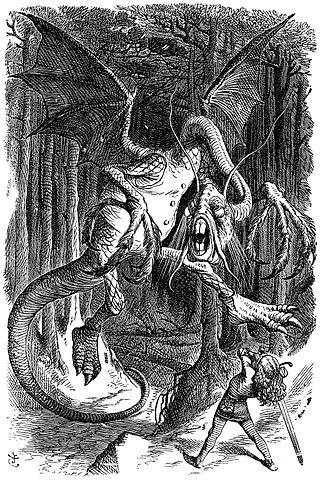 So it is that I advise the Jabberwocky approach to editing: take your vorpal sword in hand, seek the manxome foe and make like the hero of Lewis Caroll's poem. One, two! One, two! and through and through. His vorpal blade went snicker-snack! It really is the best way! I've recently been reading "The Undiscovered Country: Journeys Among the Dead" by Carl Watkins. It's a wonderful book, looking at British traditions of death from the time of William the Conqueror to the First World War. Along the way it unearths a now-hidden landscape of death, lying just at the borders of reality, a landscape in which the dead dwell, always near to the living. The book's early chapters, dealing with the time around the Reformation, made me consider for the first time how the shift from Catholicism to Protestantism fundamentally altered our attitude to death, with purgatory suddenly abolished and the possibility of intercession on a soul's behalf extinguished. 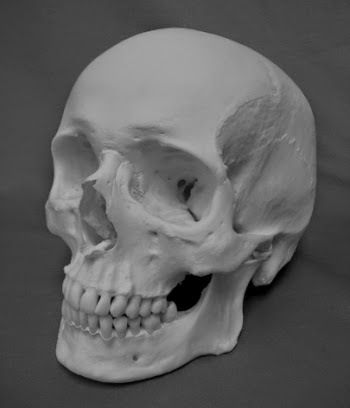 This change in the attitude to death had a significant effect on life too. In particular it saw the destruction of the Catholic apparatus of death: seeing the dissolution of institutions such as chantries (where a priest or priests were employed to say masses for a dead person's soul), an end to the reading of bede rolls (lists of persons to be prayed for) and abandonment of long-standing traditions such as the ringing of church bells on All Hallow's Eve. Ghosts were no longer dead souls locked in a kind of quasi-earthly purgatory and people themselves were now (pre)destined for heaven or hell from birth and/or through their own acts, with no room for intercession by priests or the prayers of the faithful. So what does this all mean for Otherwhile, which has no afterlife at all (a point on which Otherwhile's only god, The Absented, was particularly clear). How would this absence of the ever-after affect the average Otherwan? How do the people of Otherwhile give meaning to their lives knowing that they will soon be gone from this and every other world? Do they have ghosts? The easiest of these questions to answer is the last: no, there are no ghosts in Otherwhile, not at least in the sense of beings trapped between this world and the next. On the other hand, there are things very like ghosts, apparitions of the long lost and recently departed that appear to the living. They are thought of as reflections of a person's being that arrive after that person has died, in the same way that an echo returns after the original sound that created it has ended. Indeed the term "Echo" is commonly used in Otherwhile when speaking of such phenomena and "echo tales" are often told around Otherwan fires on dark nights. The other questions are more complex and need a more nuanced answer. Here on this blog we haven't time for that, so I'll boil things down as quickly as I can. The general thrust of Otherwan belief is that a woman or man lives on through the memories they create in others, whether by having and raising children or through the effects of their acts. 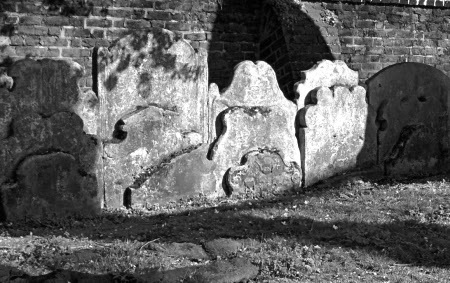 In order to ensure their memories will last, those who can afford it make donations to Remembrances - a kind of cross between mediaeval chantries and monasteries - where their names will be chanted and their deeds recited for as long as their bequests hold out. The Remembrances in turn offer aid to the poor and weary in the names of those same dead, allowing even the most wicked to do some good after their time in the world is done. It's an imperfect system, of course, but does at least provide a form of inheritance tax, redistributing money from the wealthy dead to the needy and keeping this fantastical world free(ish) of mediaeval Paris Hiltons.